Sarah Hilary has worked as a bookseller, and with the Royal Navy. 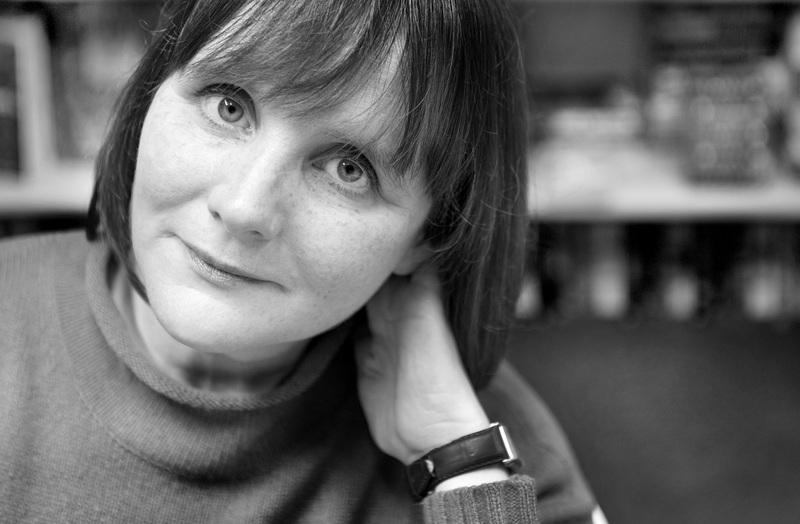 Her debut novel, Someone Else’s Skin (2014), won the Theakston Old Peculier Crime Novel of the Year 2015, and was a World Book Night selection for 2016. The Observer’s Book of the Month (‘superbly disturbing’) and a Richard & Judy Book Club bestseller, it has been published worldwide. The Marnie Rome series continued with No Other Darkness (2015), and her third novel in 2016 with Tastes Like Fear (2016), which was longlisted for Theakston Old Peculier Crime Novel of the Year. Sarah lives in Bath, and is available for interviews, events and to write features. I’m absolutely thrilled to welcome author Sarah Hilary to the blog to answer some questions about the depiction of Stephen, care leaver, and one of the characters in her Marnie Rome novels. When you first started writing the DI Marnie Rome series, Someone Else’s Skin, what made you choose to include a care leaver? I wanted to write a book which would upend my reader’s expectations. I’m fascinated by the friction that exists between what we think we know and what we actually know, and this particular story is about how easy it is to misinterpret what we see and how fast we leap to judgement. Finally, it’s about how lightly or heavily we carry our past — the legacy of what was done to us as well as what we have done. I wanted to write about uprooted and rootless people. All of which led me to the character of Stephen Keele. Do you have any personal experience with the care system, fostering, adoption or children’s homes? None at all, or not directly. But I have always felt a kinship for lost children, or those in captivity of one kind or another. My mother was a child internee of the Japanese. When I’m writing, I’m always conscious of the long shadow cast by my family history. Care leavers often feel they are stereotyped by their past. How aware of this were you whilst creating your character? Extremely aware. It’s why I aim to write characters who surprise or invert my reader’s expectations. Isn’t there a sense, also, in which we’re all stereotyped by our past? One of the themes of my series is society’s myopia, its tendency to define us by the narrowest of margins and on the thinnest of evidence. There’s a sense in which we all collude in the pretence that this isn’t happening. Arthur Miller said it’s the job of the artist to remind us of what we’ve chosen to forget. I try to do this when I’m creating my characters and stories. The blurb at the back of Someone Else’s Skin, mentions the emphasis on domestic abuse in the book. Could you tell us a bit more about this. It’s a difficult one to answer without giving away the plot, but I can say that the setting for an important part of the action is a women’s refuge. I tried to do justice to the fear and grief, and the anger, inside that setting. To be reduced to a life like that, in hiding and invisible, must be terrifying. There are now four DI Marnie Rome series. What can we expect next? A fifth Marnie Rome book, Come and Find Me, is out in April 2018. It takes Marnie’s story in a new direction, and will be followed by a sixth in the series which I’m about to begin writing. 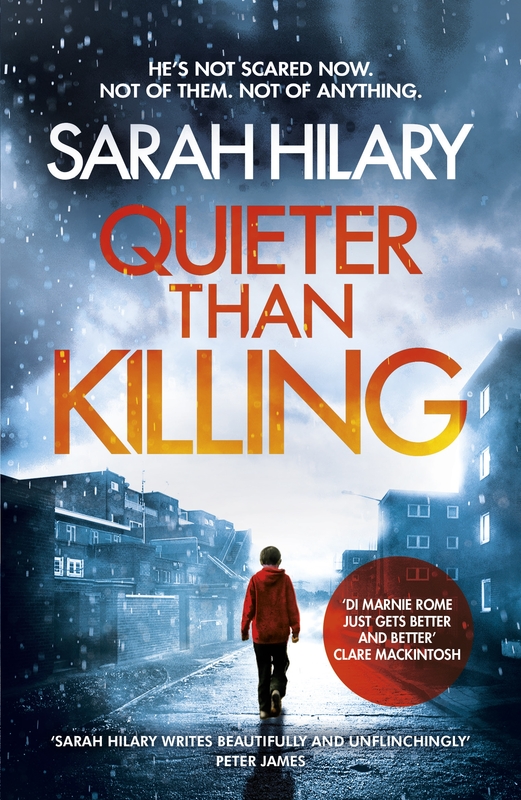 Quieter Than Killing (2017) is my latest (out in paperback now) and it explores more about the impact of care on those who leave it. Marnie’s relationship with her foster brother, Stephen, is approaching its climax, that’s how I felt when I was writing it. There’s still a tendency to over-populate fiction with the same heroes and villains from a century ago — young, white, heterosexual, gender-typical. I would love to see more diversity of every description, but perhaps especially LGBT heroes and heroines. Our young people need to be able to find themselves in books. This is so important to our collective mental health. I’d love to see stories and characters which are as wide and diverse as possible. A short story collection by Edith Pearlman, Honeydew, which is full of intimacy and generosity. She’s a wonderful, magical writer. Thanks to Sarah for the interview. This entry was posted in Blog, Care Leavers and tagged care leaver, crime, fiction, Foster care, stereotype. Bookmark the permalink.